The story is hilarious, and it includes an element found in many of the stories here: commentary on the genre of science fiction itself. The aswang is responding to its friend’s suggestion that it read Heinlein’s Starship Troopers. It responds: ‘‘how is this novel… about an interstellar war between monster cockroaches and alienated capitalist soldiers supposed to be a valid form of social commentary? I do not care if the main character is a Filipino infantryman. I assume he is a capitalist, too…. [H]is insights into the future of Marxist revolution in the Philippines must be suspect at best.’’ This sort of commentary continues: Vandana Singh’s ‘‘Somadeva: A Sky River Sutra’’ imagines an Indian storyteller resurrected as an AI on a far future spaceship, drawing a connection between storytelling past and future. ‘‘Boojum’’, a space pirate story from Elizabeth Bear and Sarah Monette, includes strong Lovecraft-call outs. However, this anthology finds itself repeatedly returning to themes of post-colonialism more than any other. Characters from science fiction, fantasy, and folklore rebel against being colonized, observed, categorized. They speak for themselves, refusing when others (especially colonizers) want to speak for them. Perhaps one of the strongest examples of this is Karen Tidbeck’s ‘‘Sing’’, where a man from space comes to learn about the indigenous people on a particular planet. He befriends and falls in love with a tailor who was disfigured by a childhood rite practiced on the planet. He wants to learn all he can about the native culture and eventually become one of them; she is enamored by the idea of going to one of his space stations where she could be weightless and her deformity wouldn’t be so obvious or painful. Never once do they understand each other, but Tidbeck does an excellent job of helping us understand both of them. Tellingly, her narrative is always from the native POV – the perspective of the colonizer is easier to infer, since it is the traditional position of the SF narrative. Earlier in the volume, we get a tale from the anthropologist’s perspective in ‘‘Queen of Erewhon’’ by Lucy Sussex. In a story that easily queers both gender and sexuality binaries, the dominant perspective is undermined as the investigator learns to talk less and listen more. In a conscious throwback to the pulps in ‘‘Tomorrow is Saint Valentine’s Day’’ Tori Truslow imagines a 19th-century Englishman traveling to the Moon to learn about the merfolk there. He falls in love with a mermaid but the story is all told from the perspective of later scholars trying to piece together his biography from a number of letters, journals, and poems. It’s a brilliant piece of deconstruction, commenting especially on the exoticizing of the Other that was a crucial piece of the adventure literature of the time, that is also a thoroughly engaging story. ‘‘Invisible Planets’’ by Hao Jingfang, translated from Chinese by the tireless Ken Liu, is one of the most straightforwardly science fictional tales in the volume, but in its travelogue it also engages in post-colonial perspective, circling around and around the theme of visitors to different planets completely failing to understand the perspective of the native peoples. Alex Dally MacFarland should be commended for putting together such a diversity of voices in one anthology. You’ll find established masters here (Ursula K. Le Guin shows up twice, once with her own award-winning ‘‘Mountain Ways’’ and once as the translator of Angelica Gorodischer’s ‘‘Concerning the Unchecked Growth of Cities’’) and very new writers (the above-mentioned aswang story is the only published story from Kristin Mandigma, and I would like to see more). 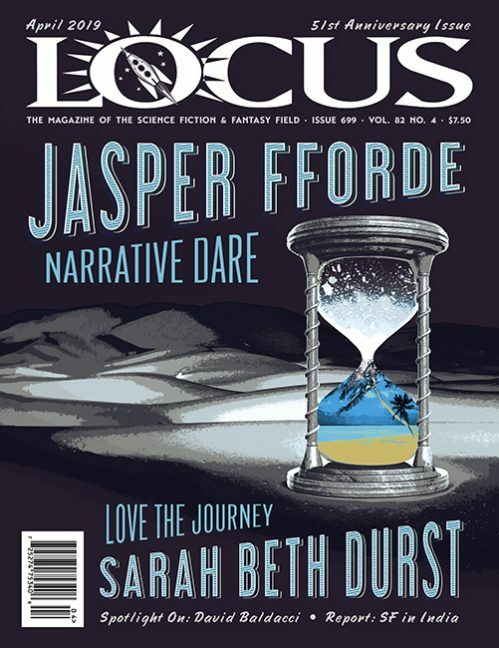 Amongst its pages you can find winners and nominees for Hugo, Tiptree, World Fantasy, and Nebula Awards, from established print magazines (Asimov’s and F&SF), to online outlets (Clarkesworld makes a good showing, as does Tor.com) and stand-alone anthologies. There are stories from history (‘‘The Science of Herself’’ by Karen Joy Fowler) and those taking a historical perspective (the Gorodischer), as well as tales of the Moon in various ways (the Truslow, Ekaterina Sedia’s beautiful ‘‘A Short Encyclopedia of Lunar Seas’’ and Zen Cho’s look at the immigrant perspective in ‘‘The Four Generations of Chang-E’’). 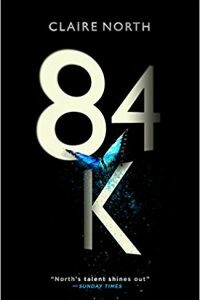 There are stories that seem like pure fantasy (Nalo Hopkinson’s ‘‘Tan-Tan and Dry Bone’’ and Toiya Kristen Finley’s moving ‘‘The Death of Sugar Daddy’’), as well as straight-up science fiction (Nancy Kress’ thought-provoking ‘‘Ej-Es’’ and Kameron Hurley’s unpleasant but strong ‘‘Enyo-Enyo’’). There will be stories for most palates here, much to think about and argue with. An excellent showcase, subverting paradigms as well as expectations. (Robinson 978-1472111661, £8.99, 528pp, tp) October 2014. (Running Press 978-1-4721-1166-1, $14.95, 513pp, tp) December 2014.